You want to run a blog for fun or to make money. You have your domain name and now you need a platform for your WordPress blog. 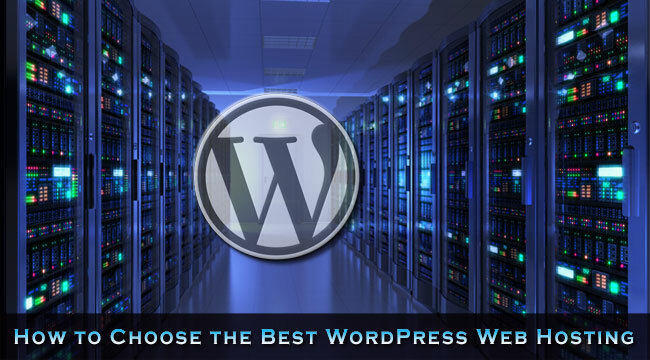 Here is how to choose the best WordPress web hosting to meet your specific needs. WordPress is an easy content management system (CMS) to host, and the majority of regular web hosting services come with the databases required (MySQL V 5.0 or higher) and a WordPress installer included. All you have to do to install it is click the installer and follow some simple instructions on creating usernames and passwords. Your choice of WordPress web hosting service will depend to some extent on your needs. You can choose a free hosting service if all you want is a basic blog, but large blogs with lots of files and lots of traffic will require a more professional hosting service. We shall ignore free hosting here because it is not normally the best for any purpose. It usually involves having adverts or a banner on your site, while uptime and support are not always certain. You share a server with lots of other users. This is the most popular type of web hosting for ordinary blogs and websites. It is relatively inexpensive at around $3 up to about $10/month, and you have a good choice of reliable web hosts such as HostGator and Bluehost. Very large volumes of traffic, however, can lead to crashes, although shared hosting is the most common type of web hosting used for WordPress blogs. Known as VPS, you have your own part of a server, which is reserved for you only. This is useful if you have too much traffic for shared hosting, but costs more – anything from around $20 – $100/month. 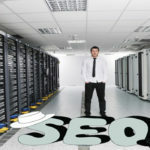 You get an entire server for your blog, or even more than one if you have huge numbers of files and traffic to handle. This is useful because it enables you to choose the hardware and operating system. This is suitable for experienced professional bloggers with large amounts of traffic and who have a need to customize their server configuration. Your blog is managed for you, using the most up-to-date versions of plugins and software available. Security is maximized, as is your blogs speed and traffic handling. Managed hosting, such as WPEngine, is the best form of WordPress hosting for many people, though beginners should probably start with shared hosting to begin with. VPS and dedicated hosting would be a needless expense, and you can easily switch over if your blog traffic warrants it. When comparing hosting plans, you should consider what each service and plan has to offer. We shall assume that you are looking for a shared WordPress web hosting service, since those experienced enough to need anything else will know what to look for. Although most shared hosting services appear the same at first glance, it easy to get caught out unless you carefully check out what they have to offer at what price. Each hosting service will likely offer a number of plans at different prices, and while the cheapest might not meet your needs, the more expensive options might offer too much. Disk space controls the amount of file storage you have, and bandwidth refers to the amount of content you can download. Although you won’t need more than 5GB of each to begin with, it won’t take long to reach that. You are best, therefore, to begin with unlimited storage and bandwidth. Most of the popular web hosting services include that. A domain is basically a website. Each domain has its own name, and one website is likely enough for most people to begin with. However, most hosts offer more than one in the form of ‘add-on’ domains. For example, the Hostgator Baby plan offers unlimited domains for under $7.96/month paying monthly. It is better to go for this than the single-domain Hatchling plan at $7.16/month paying monthly. Prices are generally reduced if you pay a number of months or years in advance. The unlimited domains option allows you to run as many websites or blogs from your site as you want. You may not need this immediately, but it’s a good option to have. You can always move up from the one-domain option if you pay monthly, but not if you are paying in advance. The Hatchling plan is only $3.96/month if you pay 3 years in advance, but you are then stuck with just one domain. Note that each installation of WordPress will need its own database, so check that your plan offers as many MySQL databases as domains – preferably unlimited. Make sure you can also host subdomains on your main domain. These are basically directories of your domain, and look something like: ‘subdomain.maindomain.com’ – it is often used for forums, subtopic sites or even as a test site for WordPress plugins. It is useful to have subdomains available. A good WordPress web hosting service will offer unlimited email addresses. This enables you to create separate email addresses for support, orders, admin, info and even one for each person in your organization. A single email address, or worse still, none at all, will be prohibitive or you will have to use a free or commercial service. It looks far more professional if your email address is attached to your domain name, such as ‘john@yoursite.com’. Each of your domains will have the same unlimited email addresses. There is one problem with some of these email services: you get no support, and spam filtering might be poor. However, many web hosts offer Spam Assassin and email forwarding to another address. You could use paid email hosting, although there are still some good free email hosting services available online. Services such as MS Outlook, Afrihost, ZOHO and iCloud mail are good alternatives. You might consider starting with the free email service provided by your WordPress web hosting service, then switching if you get issues. Support is very important, and you should check out the type of support offered by each of your hosting options. Is phone support offered or is it email or ticket only? With emails or tickets you have to wait for help, but with phone support you get it immediately. Is there a toll-free number? Even better is Live Chat. Sometimes you find the support provide by a third party, paid for as part of your hosting costs. Whatever it is, check the availability – is it 24/7 or restricted to day hours? Taking HostGator as an example again, all plans offer 24/7 chat and phone support, plus email and ticket-based support. BlueHost also offers 24/7 toll free telephone support and Live Chat. The frequency of backups is another aspect of web hosting you should consider. Servers do go down, and your WordPress web hosting service should backup your files from one server to another on a regular basis. Compare web hosts for their backup frequency – the more frequent, the more secure your data is. Most shared hosting services use cPanel, one of the easiest to use control panels on the planet. It is good for beginners and seasoned professionals, and its videos go a long way to teaching you how to set up your website and emails. However, it is not so important for WordPress hosting, since WordPress has its own control panel – the Dashboard. Nevertheless, cPanel enables you to install WP with almost one click, and to generate installations for each of your hosted domains. It is not a definite negative if your choice of hosting service does not offer cPanel, but it is a big help for beginners to blogging, particularly if you want to run a regular website to back up your blog. SEE ALSO: Pros and Cons of Managed Hosting. There is a large number of potential web hosts available, and it is not always easy to choose the best for you. Generally, however, the more popular tend to work quite well. If a web host has been in operation for two or more years, it is likely OK to use. However, to find the best for your specific needs, you should take all of the above factors into consideration. Check out our reviews of the various WordPress web hosting options before making your final decision. Bluehost is one of the best WordPress hosting providers in 2017. They will give you a domain name for FREE, and there’s no setup fee. Bluehost is perfect if you’re looking for inexpensive web hosting in 2015 and/or one of the best web hosting companies, then Bluehost is it! Bluehost is actually the #1 recommend web host per WordPress.org. For me, the top 3 web hosts are siteground, inmotion and 1and1.